Samsung faced a lot of negative publicity over the way it handled the Note 7 situation, and coming into 2017, the brand had to show that it can regain consumer trust. 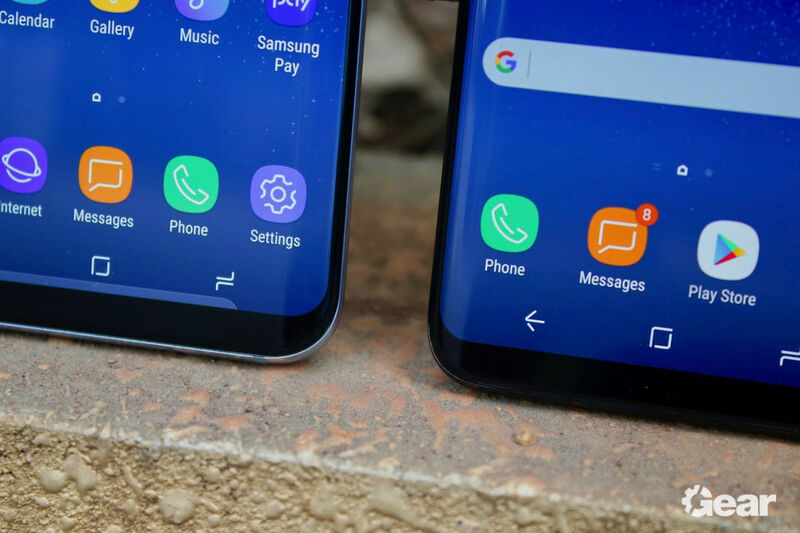 Samsung has always been great at making excellent phones — its flagships elevated the brand to the forefront of the Android ecosystem — but with the Galaxy S8, it also had to show customers that safety was a key priority. 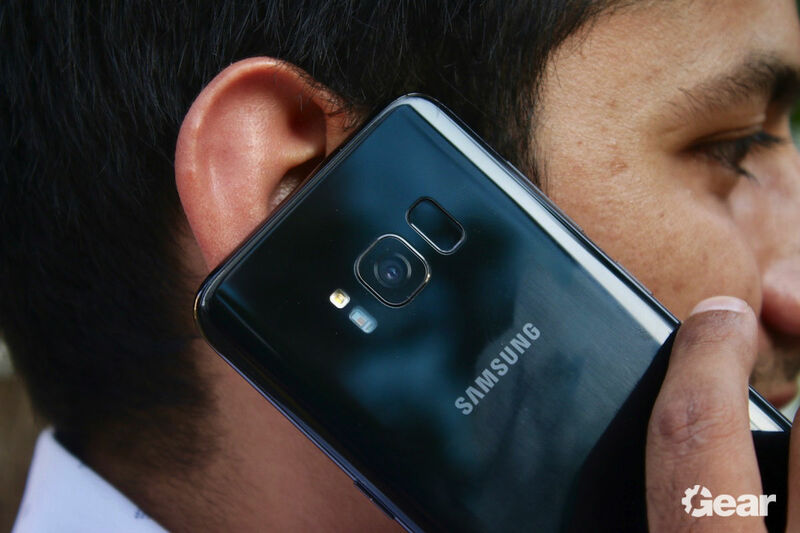 As a result, Samsung pushed back the launch of the Galaxy S8 by a month as it conducted additional safety tests to ensure the phones were up to the mark. Samsung has shown time and again that it can exceed its own milestones. Were it not for the battery malfunctions, the Galaxy Note 7 would’ve been one of the best device of 2016. For the Galaxy S8 series, the manufacturer took an even bolder design approach, with the phones featuring all-new Infinity Displays that are almost bezel-free. 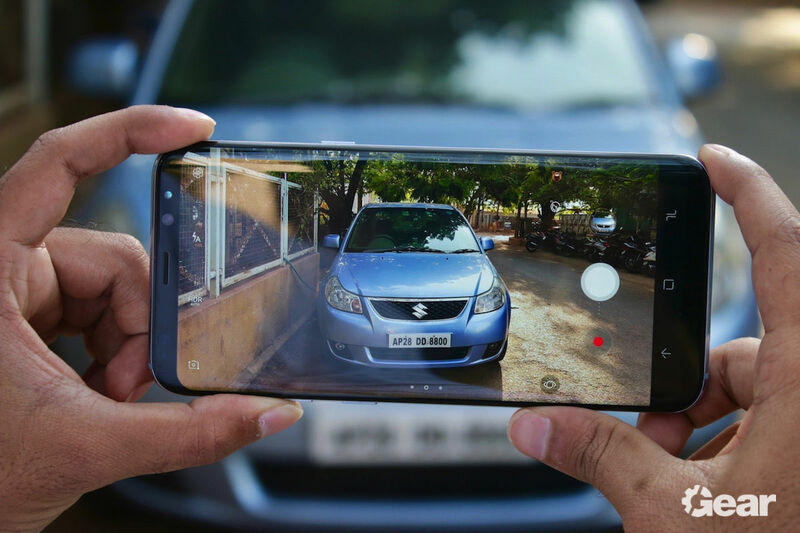 There are significant changes under the hood as well — the phones feature brand new and powerful 10nm octa-core 64-bit processors, increased storage, slightly improved cameras, and a newer UI design. Moreover, they also feature an immensely improved front-facing camera and a better rear-facing camera. They only thing that differs between the Galaxy S8 and S8+ is the screen size and battery capacity. The Galaxy S8 comes with a 5.8-inch display and a 3,000mAh battery, whereas the Galaxy S8+ comes with a 6.2-inch display and a 3,500mAh battery. Both smartphones feature a fast iris scanner as an added security mechanism. Following its acquisition of famed audio maker Harman Kardon, the manufacturer is also bundling AKG-tuned earphones with the Galaxy S8 and S8+. But are the changes enough to solidify Samsung’s position in the smartphone market and rebuild consumer trust? I’ve been using them as my primary phones since I received review units of both these smartphones three weeks ago. Let’s find out how they perform in real-life conditions in our Galaxy S8 and S8+ review. The first thing that you’ll notice on the Galaxy S8 and S8+ is their larger, almost bezel-free screen. There’s a small amount of bezel on the top and the bottom of the display, but nowhere else. The sides and corners of the phones are curved. The phone is covered by Gorilla Glass 5 panels on the front and the back. These glass panels meet the metal frame seamlessly, so much so that the whole phone feels like a unified slab of glass and metal. You can’t feel where the glass panel ends and the metal rim starts, and that evokes a sense of beauty that few phones can match up to. All the sensors – accelerometer, ambient light, hall effect, iris, and proximity – as well as the front-facing camera and the earpiece are located above the display. There’s no physical home button or capacitive back and multitasking buttons on these smartphones, with Samsung switching to on-screen navigation buttons for its smartphones. The on-screen home button is pressure-sensitive, and you can long-press it to go to the home screen no matter where you are in the phone’s software. You can also press the virtual home button while the phone is in sleep mode to wake it up. I think more Android OEMs should start using such pressure-sensitive buttons. The power button on the right side and the volume buttons on the left have a decent amount of travel and offer great tactile feedback. 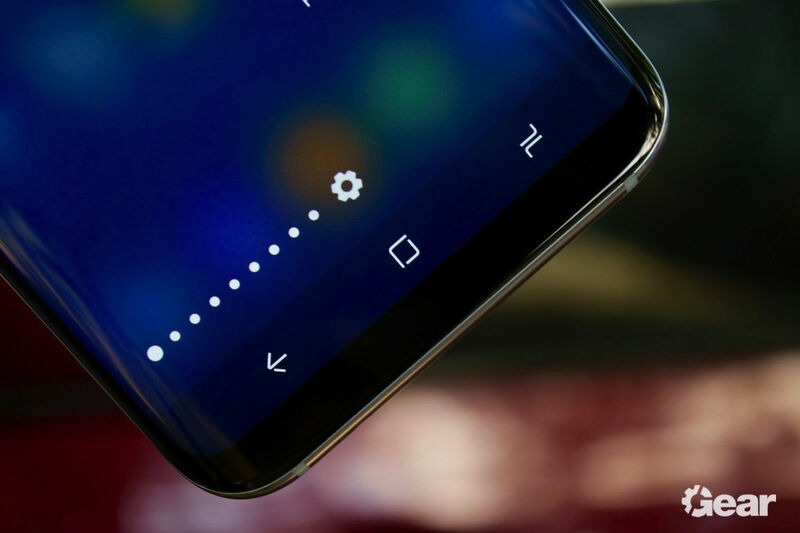 There’s an additional physical button below the volume rocker that’s dedicated to summon Bixby (Samsung’s new digital voice assistant). I’ll talk more on Bixby later in this review. The headphone jack is at the bottom, so it’s easier to use the phone with headphones. There’s a USB Type-C port between the loudspeaker and the headphone jack. The hybrid dual-SIM card slot is at the top of the phone, and it has a rubber gasket, making the phone resistant to water and dust. Notice how I can easily reach the fingerprint reader on the Galaxy S8 but not on the Galaxy S8+. The fingerprint sensor is placed beside the camera sensor on the back of these smartphones. 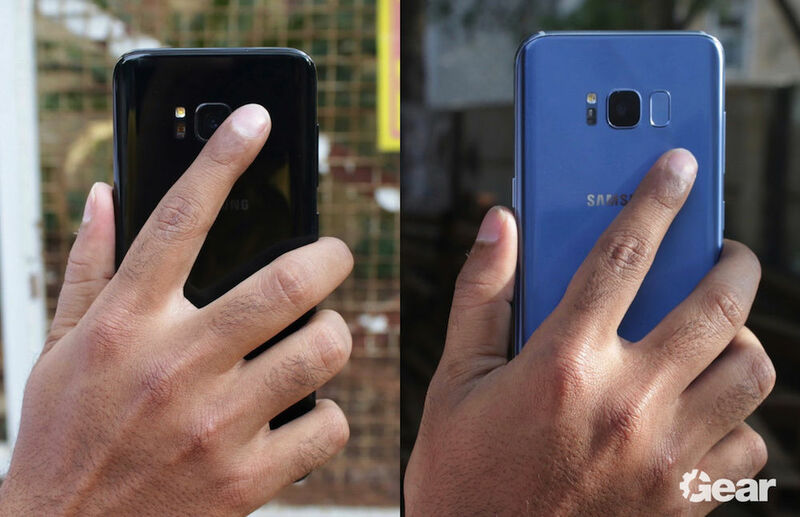 I had to struggle to reach the fingerprint reader on these smartphones, particularly more so on the Galaxy S8+. You are definitely going to smudge the camera lens trying to access the fingerprint reader. However, I got accustomed to it after a couple of weeks. You’ll be able to locate the fingerprint reader more easily by putting a case. The placement of the Bixby button right opposite to the power button doesn’t help at all. I accidentally pressed the Bixby button quite a few times when I was trying to wake up the device from sleep. While the Galaxy S8 and S8+ are stunning to behold, they also feel extremely fragile. Thanks (or no thanks) to the glass panels on the front and the back, the phones are susceptible to damage if dropped onto hard surfaces. If it were to me, I would buy a case for the Galaxy S8 or S8+ to save it from drops. Yes, it feels wrong to cover such beautiful devices in a case, but it’s better than the constant fear of shattering the panel. Look at those thick bezels on the Apple iPhone 7 Plus. Xiaomi was the first brand to start the bezel-free smartphone design with the Mi Mix, but the phone looked like a prototype, while the Galaxy S8 feels like a finished product in comparison. The physical design of the Galaxy S8 and the Galaxy S8+ will serve as the frame of reference for all smartphones in the future. The design of these devices puts other smartphones manufacturers to shame (especially Apple, Google, and HTC). Compared to the Galaxy S8 and S8+, competing smartphones like the iPhone 7, Pixel, and HTC U Ultra feel like they have a lot of catching up to do in the design segment. Just like the Galaxy S7 and S7 edge (and the not-so-lucky Galaxy Note 7), the Galaxy S8 and S8+ are IP68-certified for dust and water resistance. You can dip the Galaxy S8 or the S8+ in water (not more than 1.5 meter deep) for up to 30 minutes, and no damage will be done to either device. That’s a better rating than the iPhone 7 and the iPhone 7 Plus. This should give users peace of mind when they’re holidaying on the beach, having a pool party, or when going out while it’s raining. Samsung has been an undisputed leader in the smartphone display category for the past two to three years now with its Super AMOLED displays, but this year it has pushed the boundaries even further. The Infinity Display is undoubtedly the standout feature on the Galaxy S8 and S8+, and it marks the focus point of Samsung’s marketing budget. So what exactly is the Infinity Display? It’s a QHD+ Super AMOLED display panel from Samsung on steroids. It has a 18.5:9 ratio, a claimed peak brightness of up to 1000 nits for HDR, curved edges and curved corners. There’s an improved version of Always On Display, which shows not only widgets for date and time, but also music player controls and alarms. It also features colourful backgrounds. Samsung’s new Infinity Wallpapers (a combination of wallpapers for Always On Display, home screen, and lock screen) look great on these displays. Always On Display looks real nice! The Galaxy S8 comes with a 5.8-inch display, while the larger Galaxy S8+ features a 6.2-inch display. Apart from the display size and pixel density, everything else remains the same among these two smartphones. In my testing, I found the displays to be bright and full of oversaturated colours, making it a delight to read content and view videos. Colour calibration is accurate too, but some units have been facing a red tint issue. I also noticed this issue on a review unit, and Samsung has acknowledged the problem and started rolling out a software update. The update gives you greater control over the colour calibration, and you can tweak the settings to minimize the red tint. 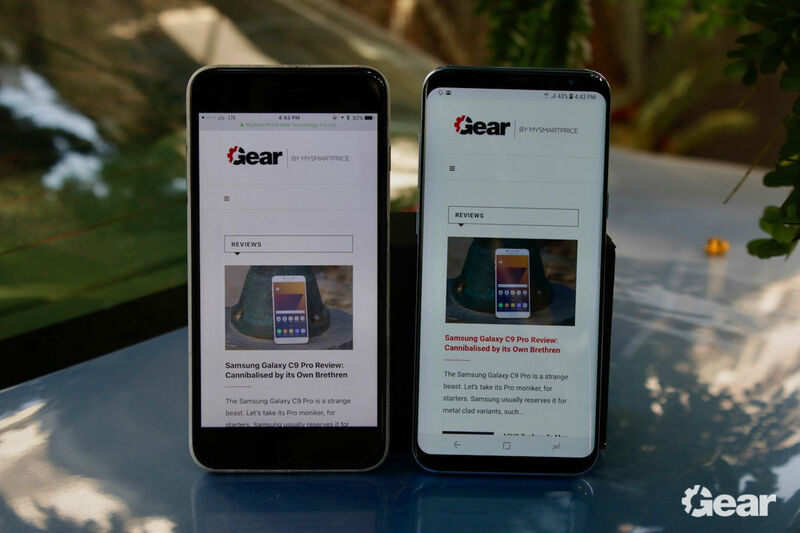 Since these displays have an aspect ration of 18.5:9, you are bound to see letter-boxing or pillar-boxing, depending on whether you’re using the phone in landscape or portrait mode. Samsung has tried to solve this issue by offering a zoom-in mode. This feature can be activated by clicking the crop to fit button that appears while you’re watching any video. While this is not the most elegant solution — some portion of the video would be cropped — it is the best option to take full advantage of that gorgeous panel. All-in-all, these are pretty much the best displays you can find on a smartphone today. The Infinity Displays on the Galaxy S8 and S8+ can achieve a peak brightness of up to 1000 nits and cover 113 percent of DCI-P3 colour gamut as well as 142 percent of sRGB colour spaces. Therefore, they have been certified by the UHD Alliance as HDR-compatible displays. Both smartphones have HDR10 and Mobile HDR Premium certifications. The company has inked partnerships with Amazon Prime Video and other video streaming platforms to offer HDR content to the Galaxy S8 and S8+. Netflix and YouTube are yet to rollout HDR support for these smartphones, though, but it’s only a matter of time before these services start offering HDR videos on the phones. Samsung is shipping its newest version of UX (now called Samsung Experience 8.0) with the Galaxy S8 and S8+, with the skin built on top of Android 7.0 Nougat. This version of TouchWiz has several new features than the one on the Galaxy S7 and S7 edge. It also features an overhauled app drawer and a home screen setup. The whole user experience feels quite modern, more so than the stock Android user experience. A few aspects of the UI – app launcher and fingerprint reader gestures – have been inspired by the Pixel and the Pixel XL. There’s no dedicated button to open the app drawer now. All you have to do is swipe up or down on the home screen to show all the app icons. Since it’s hard to reach the notifications area due to the unusually long screen of the S8 and S8+, there’s an option which you can activate to use the swipe down gesture on the fingerprint reader to bring down the notification shade — similar to what you’d do on the Google Pixel. 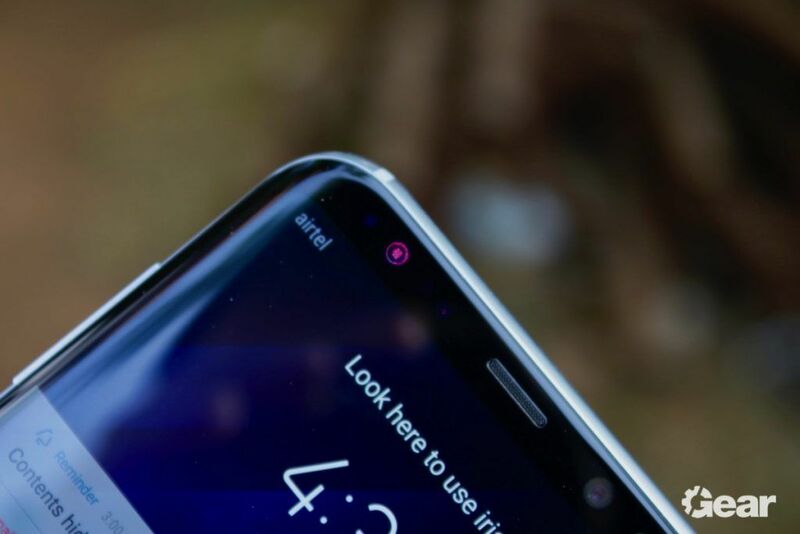 However, the problem here is that the fingerprint reader is located high up on the phone, which is harder to locate when compared to the fingerprint reader on the Pixel (which is at the centre of its back). Samsung should have had used the home screen swipe down gesture to access notifications, which would’ve made the gesture easier to use. Quick setting toggles can be arranged according to your liking using the Button Order option. You can even choose how many toggles appear in one go by changing the Button Grid option. By default, the screen brightness slider doesn’t appear when you swipe down the notifications shade the first time (you have to swipe down twice to see it). However, you can set it to appear on the first time by clicking the down arrow button beside the brightness slide and activating the ‘show control on top’ option. Samsung was the first to offer side-by-side multitasking over three years ago, and with the feature now integrated into Android 7.0 Nougat, the manufacturer is making a few additions. Tapping the multitasking button reveals all the apps that are open, and you can not only run two apps side by side, but also choose to show a particular part of an app. This is useful when you want to focus only on one area/part of an app while using two apps simultaneously. If you want to switch the location of two active apps in side-by-side multitasking, you can do that too. As always, apps can be used in a small window hovering over whatever screen you’re on. Samsung introduced themes for Galaxy smartphones starting with the Galaxy S7 and S7 edge. There’s a dedicated Theme Store where you can find official themes from Samsung as well as third-party themes from other developers. There are a few brilliant themes in there, and if you’re one for stock Android UI, you can download plenty of third-party themes that can make your Galaxy S8 or S8+’s UI like that of the Pixel. Theme packs include custom wallpapers, backgrounds, AoD widgets and backgrounds, icons, dialer design, and more. Some new themes also include Infinity Wallpapers for that stunning screen. SideSync from Samsung is one of the most downplayed features on Galaxy smartphones and tablets. The feature essentially lets you mirror the smartphone screen on your desktop and control it using your PC’s keyboard and mouse. It can be used to drag and drop files from PC to smartphone and vice versa. It can also keep your PC’s and smartphone’s clipboard in sync. You can even see your smartphone notifications on a connected PC and reply to them without leaving your computer. The Smart Switch app that comes pre-installed on most Samsung phones these days allows quick transfer of data from an old phone to a new one. It can be done wirelessly over Wi-Fi or through a wired connection using a compatible USB cable. Data includes images, videos, documents, alarms, contacts, calendar entries, apps, games, wallpapers, and more. Pretty much everything can be transferred from an old phone to the Galaxy S8 and S8+ quickly — and it supports both Android devices and iPhones. However, note that your iPhone needs to be unencrypted in order to transfer the data. Secure Folder is an improvement over last year’s Private Mode and KNOX features. It’s a place where you can save confidential information — including apps, images, videos, documents, files, and more. You can move images and videos from the gallery to Secure Folder. This folder can be opened by your registered fingerprints, iris, or a pin code. It is secured by Samsung’s KNOX security suite, which is claimed to offer defense-grade security mechanism. Moreover, it can also be used for dual apps functionality, so you can use it for dual WhatsApp if you’re using two SIM cards at once. 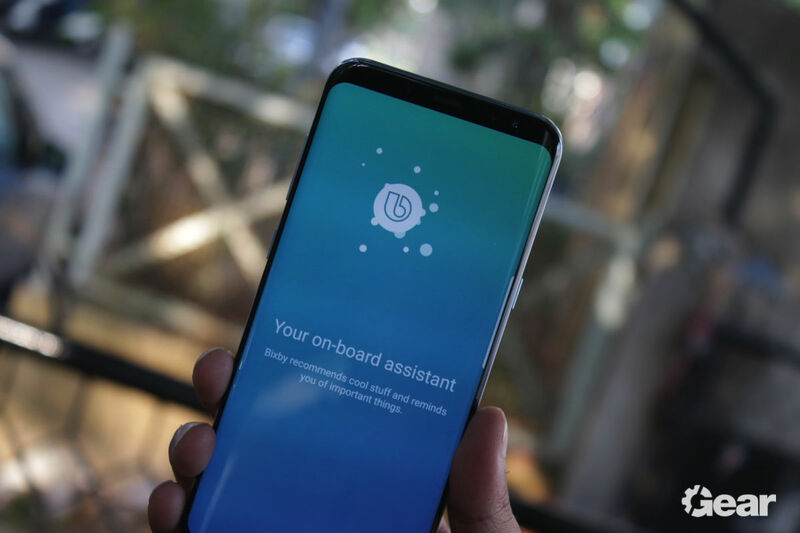 Bixby is Samsung’s take on an AI-powered digital voice assistant. Apart from showing useful information cards from stock and third-party apps like Facebook, Twitter, and Uber, it can recognise a user’s voice and act on voice commands. Samsung claims that Bixby Voice (Bixby’s voice assistant) can be asked to perform any task using voice that a user can otherwise perform by touching the smartphone’s display. For example, you can ask Bixby to find all the images of food that you took on a particular day and email it to your family members. This is just one example, and you perform almost any task on your smartphone just through voice commands. However, it is launched only in South Korea as of now, and we’re not sure if it will hit the Indian market this year. Moreover, Bixby Now (the feature that shows information cards) can show information from only a handful of partner apps, so it’s kind of useless as of now. 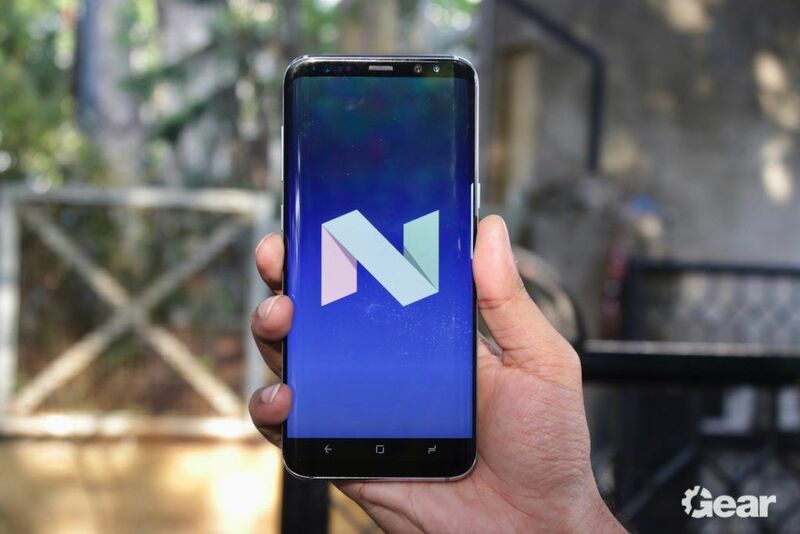 Overall, there’s not much that Bixby can offer to Galaxy S8 and S8+ users in India. The service is still in its infancy, but it has the potential to become something great. Until then, however, best disable it. The Galaxy S8 and S8+ feature 12-megapixel rear-facing cameras with F1.7 aperture, OIS, and 4K video recording. It might sound similar to last year’s Galaxy S7 and S7 edge, but time around, Samsung used a slightly newer camera sensor (Sony IMX320 or Samsung LSI S5K3H1). We will get into how it helps the Galaxy S8 take more accurate images shortly. The phones can also record optically and digitally stabilized 4K videos or 240fps slow-motion videos. There are a lot of other software features, but let’s first focus on the UI of the camera app. It’s quite simple to begin with. There’s a still image shutter button and a video record button. There are shortcuts to adjust flash, HDR, front or rear-facing camera toggle, stickers (Snapchat style), and skin tone (also called as air brushing). There’s a shortcut to the gallery app as well. You can drag the shutter button up or down to zoom in or out (digitally, of course). All the other settings like image and video resolutions, tracking autofocus, shape correction, shooting methods, stabilisation, and storage location are hidden in the app’s settings menu. Thanks to the newer sensor and a more capable ISP used in the newer Exynos 8895 chipset, Samsung has been able to employ a better image processing algorithm – Multi Frame Processing – to offer better quality stills. Samsung says that Multi Frame Processing consists of capturing three images every time the shutter button is clicked. These images are then used to output one still image that has better dynamic range, colours, and sharpness. Thanks to more processing bandwidth, Samsung was able to digitally stabilise 4K videos, something that wasn’t available in the Galaxy S7 and S7 edge. The quality of the images captured using the Galaxy S8 and S8+ is one of the best in the world right now (in the smartphone category, of course). Still images come out sharp, and with plenty of details. Dynamic range is pretty wide, but still not as good as the Google Pixel (which uses HDR+ algorithm to stitch nine images into one final image with exceptionally wide dynamic range). These phones tend to oversaturate colours sometimes, but most people like it that way. If you don’t want artificial changes, you can use the Pro Mode in the camera app to adjust the final results. There’s Auto Live HDR that showcases how the final image would look like even before the shutter button is clicked. 4K videos recorded using the S8 and S8+ have plenty of detail, and the audio quality is really good, thanks to higher bitrate audio capture. OIS and EIS work in tandem, so you get pretty smooth videos. However, if you’re jogging or walking fast while recording a video, you can notice a jello effect in the corners. The front-facing camera can record QHD videos, but there’s no OIS, and EIS isn’t activated as well. So, if you’re planning to capture a video using the front-facing camera while walking fast, make sure you stick to 1080p. 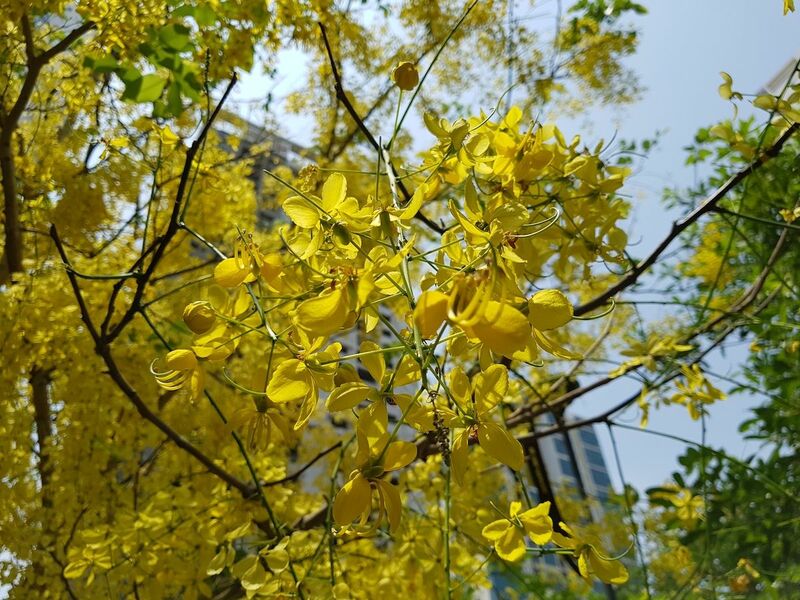 Thanks to the fast Dual Pixel phase-detection autofocus mechanism in the camera, there’s no focus hunting. Even the focus transition is extremely smooth, so videos look like they’ve been captured by professionals. Thanks to autofocus front camera, selfies come out real sharp! The front-facing 8MP camera (with F1.7 aperture) on the Galaxy S8 and S8+ features autofocus mechanism, a first in a Samsung smartphone. This greatly improves the quality of self portraits (or selfies as we call them these days). Images come out sharp with much more details than what I’ve seen on the S7 and S7 edge. However, I’ve noticed that sometimes the camera adjusts the focus point just before you hit the shutter button, which results in blurred images. This is nitpicking though. 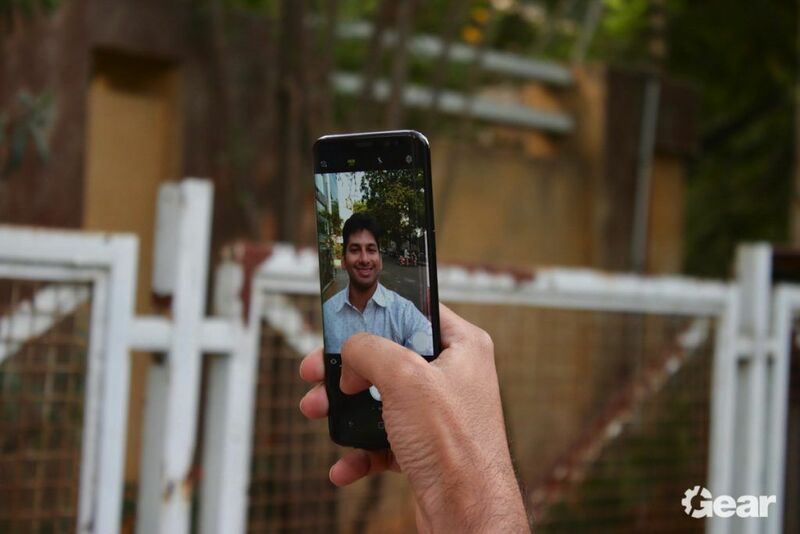 The selfie camera has a wide-angle lens, and you can fit in a lot of people (or background) in the frame. 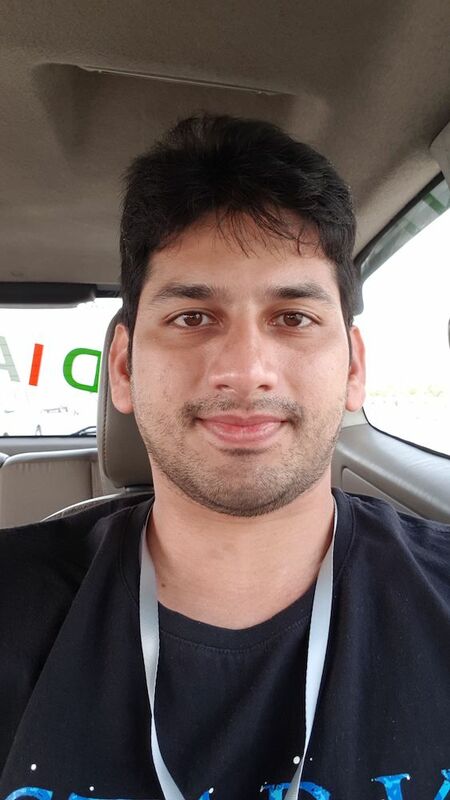 Moreover, autofocus helps a lot in video calls as well. All in all, it’s a great front-facing camera, and there are not a lot of phones that have better front-facing cameras than the S8 and S8+. 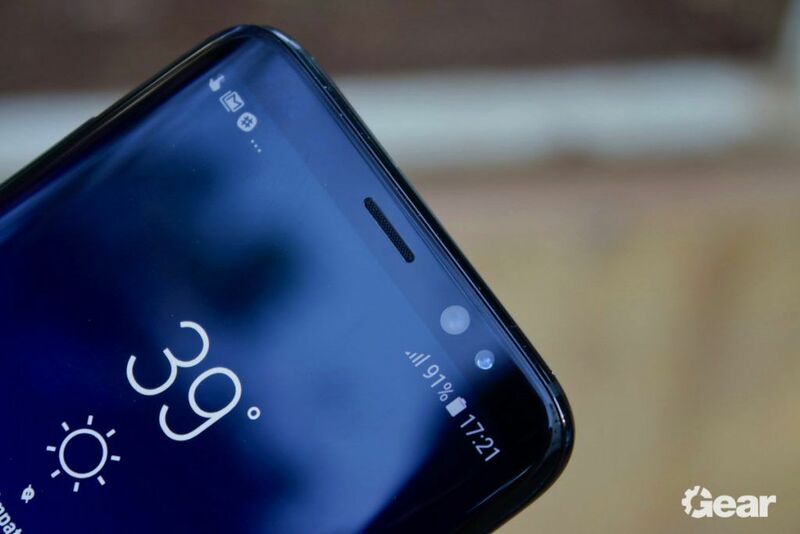 The Galaxy S8 and S8+ come equipped with the Exynos 8895 octa-core processor, 4GB RAM, 64GB of internal storage, and a hybrid dual-SIM card, meaning you can use the SIM 2 slot for storage expansion via a microSD card. The Exynos 8895 rivals the Snapdragon 835 from Qualcomm and the Kirin 960 from Huawei in terms of features and performance. It is built using Samsung’s 10nm FinFET LPP process, uses ARM’s powerful Mali-G71MP20 GPU, and comes with an integrated gigabit LTE mode. Ideally, this beastly chip should be able to make any smartphone very, very fast. However, the Galaxy S8 and S8+ aren’t as smooth as I hoped. Yes, they run through everyday tasks without breaking a sweat, but the UI itself isn’t as fluid as that on the iPhone or the Pixel. I was able to notice a few stutters here and there, especially when the phones connect to a new internet connection. Samsung has made great improvements in UI design, but it is still unable to offer a UI that consistently hits the 60fps frame rate. I don’t know why it is so hard for Samsung to develop a UI that is as smooth as the one on iPhone or Pixel. No matter how fast the underlying chipset is in a Galaxy smartphone, it is never as smooth as competing phones from Apple, Google, OnePlus, or even Xiaomi. Maybe Samsung is using a different benchmark to measure performance, but in my view, the chipset that should be the fastest in the world isn’t working up to its potential in the Galaxy S8 and S8+ because of Samsung’s inability to optimize its skin. When it comes to multitasking though, 4GB of fast LPDDR4 RAM in the S8 and S8+ works well. I never noticed any app getting closed due to too many apps being stored in the memory. As opposed to what many other brands might say, I think that 4GB of RAM is enough in this day and age, especially when Android has become so intelligent in app management. Android O is expected to make it even better, all thanks to improved restrictions on background tasks. Gaming is very smooth, all thanks to the Mali G71MP20 GPU, which is slightly faster than the Adrneo 540 chipset used in the Snapdragon 835. 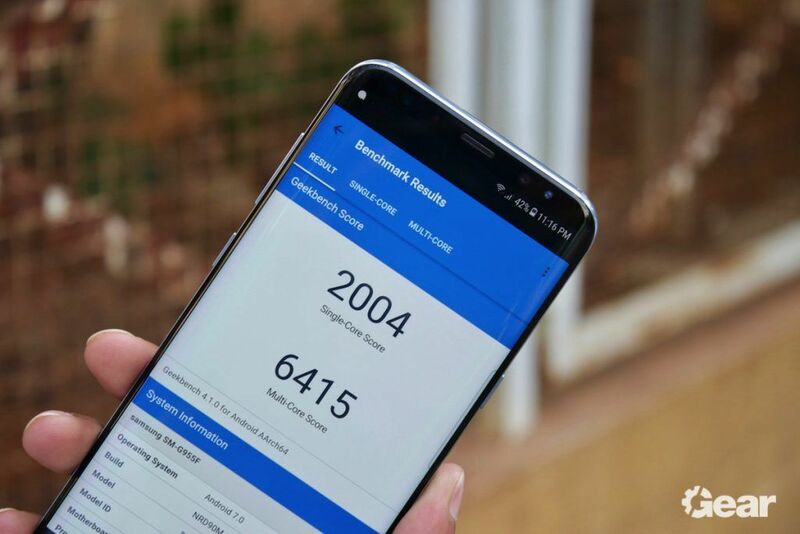 For the first time ever, Samsung’s Exynos chipset is able to outperform Qualcomm’s comparable Snapdragon solution when it comes to graphics crunching abilities. All the games that I tried – Asphalt 8, GTA IV, Modern Combat 5, and Real Racing 3 – worked flawlessly, at least as long as you’re operating the phone in normal environmental temperatures. There was one instance when I was out in the open, under harsh sunlight (and India’s summers can be quite brutal), and the Galaxy S8 heated up considerably. The chipset throttled, and as a result, the phone’s UI was stuttering a lot. This goes on to show that even the most powerful smartphones can experience stutters when pushed to their limits. Thankfully, this was only a one-off experience, and not a daily occurance. 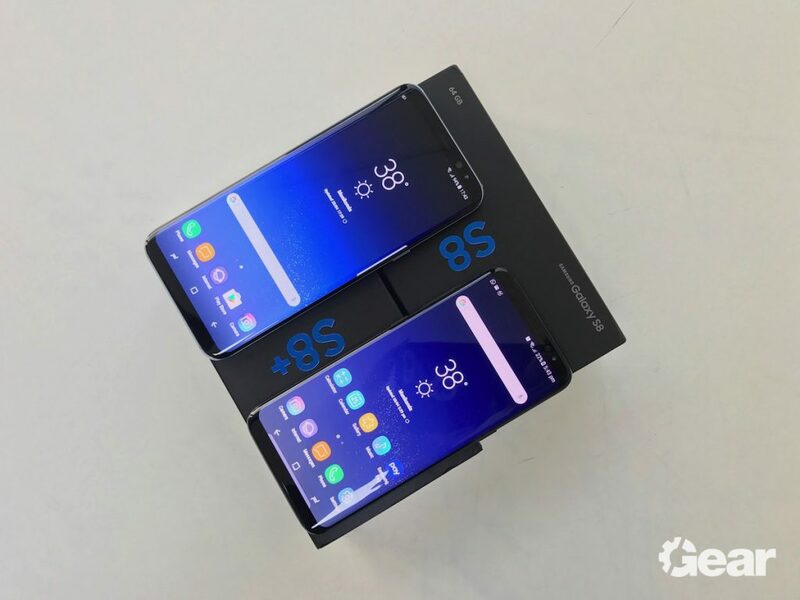 The 64GB UFS2.1 storage chip used in these phones is fast, but in day-to-day performance, you will not see a difference compared to UFS 2.0 chips used in the Galaxy S6 or S7. These chips are still not as fast as NVMe storage chips used in the latest iPhones, though. If you plan to store all your images, videos, and multimedia data on a microSD card, make sure that you buy at least a UHS-1 class card. The fingerprint reader on the back of the phones seems slower and less accurate than the ones I am accustomed to even in the entry-level phones like the Redmi 3s Prime. I noticed that it denied authentication my fingerprints if I didn’t cover the complete surface area. On the other side, the iris scanner is amazing. Google hasn’t built a centralized API for an iris scanner, so it won’t be able to replace the fingerprint reader in apps where you are supposed to authenticate using fingerprints. If your bank’s app or a password manager allows you to use fingerprints as an authentication system, you won’t be able to replace it with your iris yet. I hope Google includes iris scanning mechanism in the Nexus Imprint API with the final release of Android O. The loudspeaker on the S8 and S8+ is louder than their predecessors, but it still falls short. I was hoping that Samsung would use AKG’s audio expertise in the Galaxy S8’s loudspeaker to include a stereo setup, but it didn’t. Hopefully, that will be amended later this year with the Galaxy Note 8. If Apple can offer a powerful stereo loudspeaker experience on its new iPhones, while still being IP67-certified, why can’t Samsung? In comparison, loudspeaker setups on the latest iPhones and the HTC U Ultra have been pretty impressive. The cellular signal reception is quite good, thanks to the glass-covered body. Unless you cover the whole device with both your palms, you should be able to get good quality signal. Moreover, the earpiece is very clear and loud, and the noise cancellation works well. I used the phones for three weeks on Airtel’s 4G LTE service in Hyderabad, India. Wi-Fi reception was great too, thanks to 4×4 MUMO dual-band Wi-Fi ac. Bluetooth 5.0’s hugely improved bandwidth allowed Samsung to employ a feature wherein you can connect two Bluetooth wireless headphones or speakers to the Galaxy S8 (or the S8+) at the same time, allowing you to stream wireless audio on both the connected devices at once. It isn’t perfect though, as you can see a delay between both streams. The phones are also compatible with Google Cast and Samsung Connect. If you own a Google Cast compatible device like Chromecast, Chromecast Audio, or a Mi TV Box, you’ll be able to stream content from your phone to your TV or speakers over Wi-Fi. Samsung Connect only works with Samsung’s audio-video products, though, so unless your home is filled with compatible Samsung products, I doubt you’ll ever use it. The S8 and S8+ offer a 3.5mm headphone jack, so you can use any standard headphone that you like. Samsung is going out of the way to offer AKG-tuned in-ear canal earphones with every Galaxy S8 and S8+. The wires are braided and tangle-resistant, so it’s easier to carry it with you. Moreover, they also come with in-line microphone and audio controls. These are, by far, the best bundled earphones that I’ve ever used. They not only fit effortlessly and comfortable, but also sound very good. You might argue that you can get much better-sounding pair of buds for $99. However, for most consumers, they’re much better than what they’re normally used to. Samsung Pay is one of the most important features on Samsung smartphones these days. It’s the company’s mobile payments solution that’s being included in higher mid-range and high-end Galaxy smartphones. It uses a combination of MST (Magnetic Secure Transmission) and NFC features to let you pay at stores and outlets without a need for an actual credit or debit card. 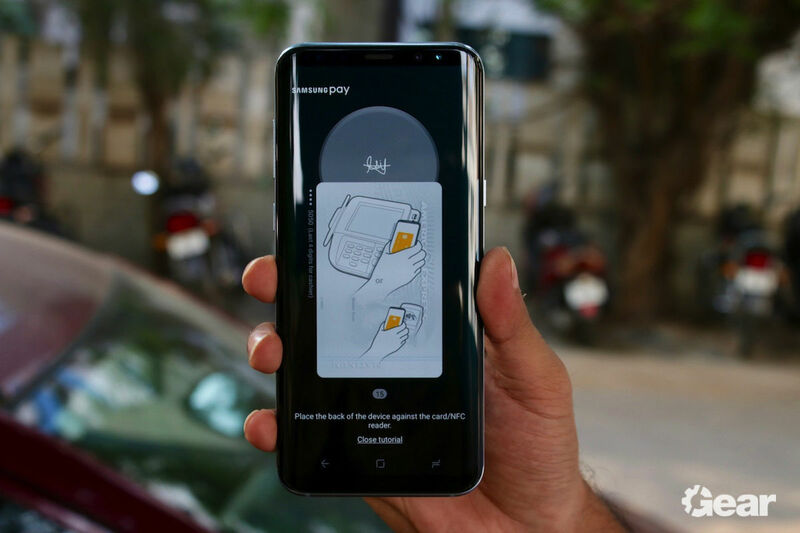 The MST feature in the Galaxy S8 and S8+ (and some other Samsung smartphones and smartwatches) mimics a card swipe, so the PoS (Point of Sale) terminal is forced into thinking that a card has been swiped. You just need to register all your credit, debit, and loyalty cards into the Samsung Pay app once. Don’t worry, all your card and financial data is kept secured using the KNOX security suite and your fingerprints. Samsung has partnered with the following banks for the Indian market: American Express, Axis Bank, Citibank, HDFC, ICICI, SBI, and Standard Chartered. More banks and financial institutions will join Samsung Pay in the future. I tried it at different stores, and since it was the first time merchants saw, they first said that it won’t work on their terminals, but then they were amazed once it worked. Samsung Pay is a real life-saver in an event where you forget your wallet at your home. However, it won’t work in case you are converting a transaction into an EMI. That type of transaction requires a chip & PIN authentication. Samsung has also partnered with a bunch of brands to offer your discounts and cashbacks if you use Samsung Pay. 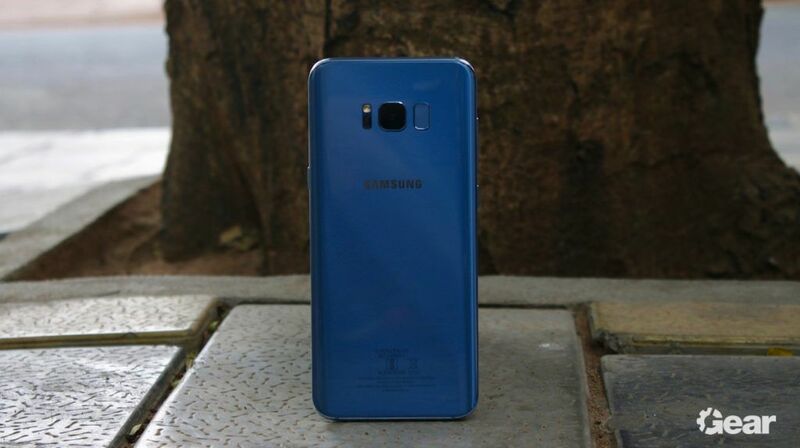 Similar to the Galaxy S7 and S7 edge, Samsung continued with 3,000mAh and 3,500mAh batteries in the Galaxy S8 and the Galaxy S8+ respectively. When you look at the screen size to battery capacity ratio of these devices, it would appear that they don’t have nearly enough to offer satisfactory battery life. However, they can generally last throughout the day, especially the Galaxy S8+. They also feature rapid charging abilities (both wired and wireless), so you can top up the batteries in a short time, in case they die before the end of the day. Thanks to the frugal 10nm Exynos 8895 processor, the Galaxy S8 and S8+ don’t consumer as much power as their predecessors. These phones lose very little battery charge in sleep mode. Samsung has also used a dedicated IC for the AoD mode in both these phones to minimize power drain. However, you would be better off without activating the AoD mode in the Galaxy S8 because it has a smaller capacity battery. Even though Samsung set the default screen resolution to FHD+ (2200 x 1080 pixels), I didn’t notice much of a difference in battery life when set to the highest possible resolution: QHD+ (2960 x 1440 pixels). 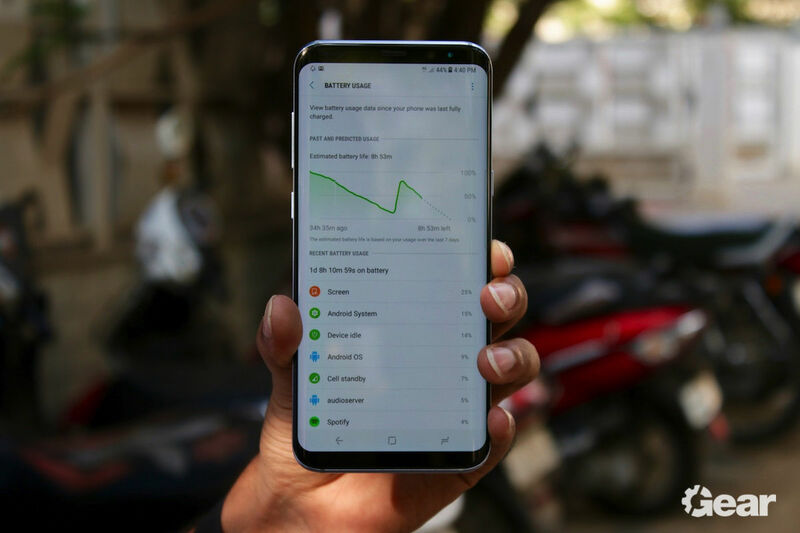 In my usage, which includes four emails accounts on sync, half a dozen IM apps, a dozen media streaming apps, and all the popular social networking apps, the Galaxy S8+ offered satisfactory battery life with almost all the important features enabled. The Galaxy S8 isn’t as good as the Galaxy S8+ for some reason. 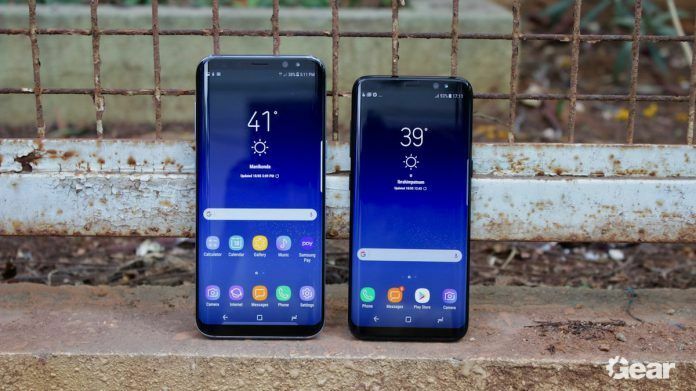 The Galaxy S8 usually lasted around 16-18 hours with 3-3.5 hours of screen-on time, while the Galaxy S8+ usually lasted around 20-24 hours with a screen-on time of anywhere between 3.5-4.5 hours. If you want to go with the Galaxy S8 because of its compact size, be sure to disable AoD and a few other features. Samsung also claims that its new batteries, which pass through the 8-point safety check, can retain up to 95 percent of charge capacity even after one year of normal usage. That’s up from just 80 percent charge capacity of the Galaxy S7 and S7 edge. This means that the Galaxy S8 and S8+ should be able to offer almost similar battery life after one year of usage as it used to when using a brand new device. We’re yet to review the LG G6, but we already know that it’s not as feature rich as the Galaxy S8 and S8+. Moreover, HTC and Apple are yet to announce their flagship smartphones for 2017. So, is the Galaxy S8 the best Android smartphone of the year? Well, we can’t say for sure since there are a few other devices – HTC U 11, LG G6, Mi 6, OnePlus 5, and the Sony Xperia XZ Premium – that we need to review. However, what we can say for sure is that the Galaxy S8 and the S8+ are one of the most impressive smartphones that we’ve tested so far. They feature brilliant screens, excellent processors, fast and reliable cameras, decent battery life, and the impressive Samsung Pay. 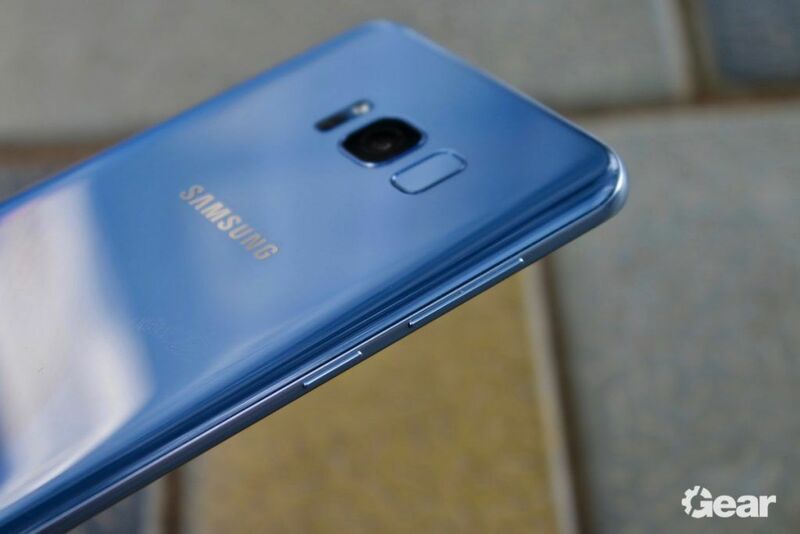 Of course, Samsung could’ve made them even better if it had used a better fingerprint sensor, stereo speakers, and slightly larger capacity batteries, but as a package, they’re the best phones in the market today. Product shots clicked by Abhijeet Mishra.